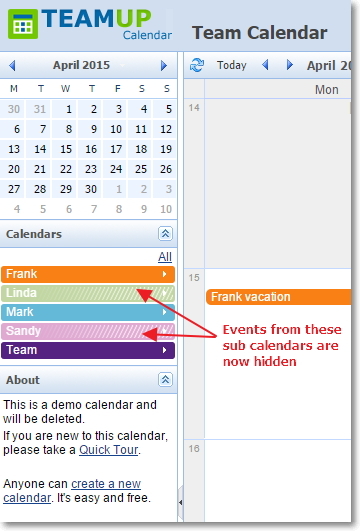 With a Teamup Calendar, you can hide or show sub-calendars and their events either temporarily or permanently. 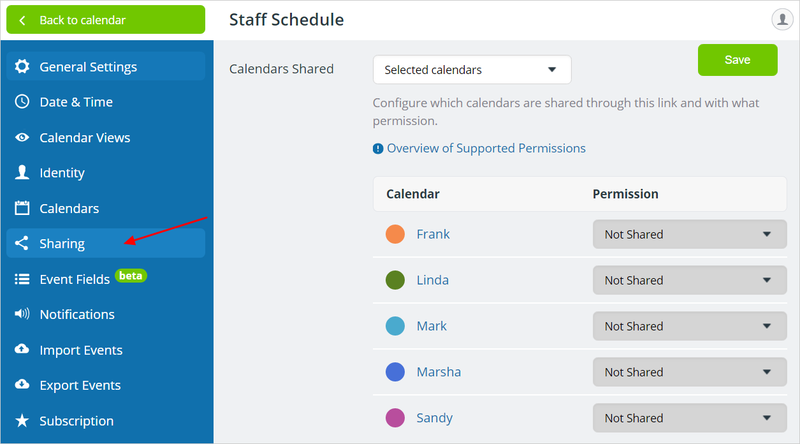 This feature allows you to control the data displayed on your calendar. 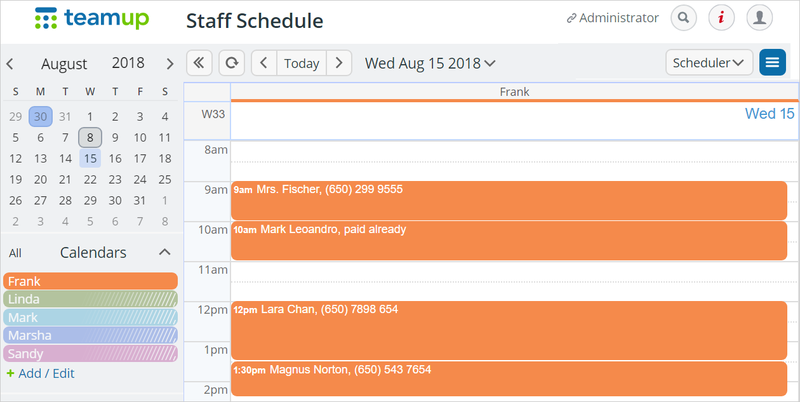 If you work with a large number of sub-calendars and/or many events, it can be helpful to limit the data on display and show certain sub-calendars only. To temporarily hide a sub-calendar, click on the sub-calendar name bar in the left control panel. This will hide all events for that sub-calendar. Temporarily hidden sub-calendars have white lines on their colored name bar, so you can see at a glance which sub-calendars hidden and which are currently shown. Should you wish to show the events from a hidden sub-calendar, click on the sub-calendar name bar again. All events for that sub-calendar will then be displayed once more. Click on a sub-calendar name bar to toggle between showing and hiding that sub-calendar. Click on the ‘eye’ icon (to the right of the name) to show only that sub-calendar. Click on another sub-calendar name bar to add it to the display. Add more one by one. Click on the All above the sub-calendar list to show all events for all sub-calendars. Click again to show none. When all sub-calendars are hidden, click on any sub-calendar name bar to add it to the display one by one. In the screenshot below, you will only see the events of a single sub-calendar (Frank). Note: when sub-calendars are organized in folders, you can show or hide all sub-calendars within a folder by interacting with the folder name bar. See here for more information. You can create customized calendar links that do not include all sub-calendars. This is useful if certain users don’t need to view all the sub-calendars. Go to Settings > Sharing. Click on the +New link button to create a new calendar link. Name the newly created link and choose which sub-calendars to include with this link by selecting a desired permission from the drop-down menu. All sub-calendars left as “Not Shared” will not be included in the link. In the example below, the link for Frank will only display Frank’s own calendar which he can modify. All other calendars are not shared and cannot be viewed from this link. Click save to save your calendar link.